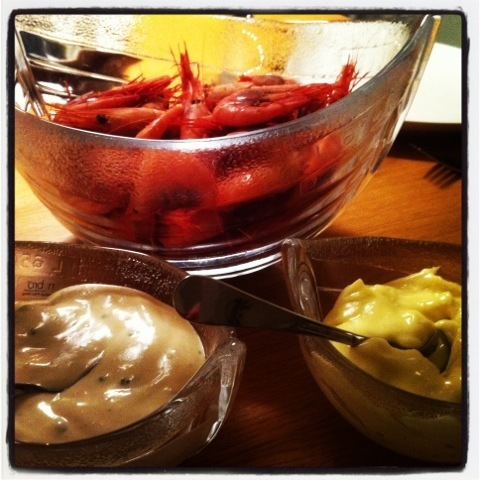 Today I celebrated Mathias and his award with a nice little shrimp feast. I bought shrimp, two kinds of dipping sauce, bread and cheese. Yummy!